Pterostilbene is a natural compound first isolated from blueberries. It is a phytoalexin similar in structure to resveratrol, but with a much longer half-life in the body. Pterostilbene has been shown to have cholesterol and blood glucose lowering abilities and an anti-inflammatory function. It can also protect against oxidative stress and slow or reverse age-related declines in cognitive function. During the aging process, gradual impairment of memory and cognitive function occurs in most organisms. Accumulation of damage due to oxidative stress is thought to be the major cause of this process. Diets rich in natural anti-oxidants can slow down or even reverse this process. In the laboratory, blueberry extracts rich in pterostilbene have been shown to be highly effective in reversing age-related declines in memory, cognitive function, and motor neuron function in rats (1). In a mouse model of Alzheimer‘s disease, a diet rich in blueberry extracts was able to prevent the onset of cognitive impairment as the mice aged (2). Further studies in rats and mice found that blueberry-supplemented animals had higher levels of hippocampal neuroplasticity, neurogenesis, and extracellular kinase receptor activation (3). Damage to the hippocampus is strongly associated with declines in memory associated with Alzheimer‘s disease. In order to identify the neuroprotective agent in blueberry extract, a laboratory cell culture experiment was performed. Human cells grown in culture had a type of muscarinic receptor that is known to be particularly susceptible to oxidative stress introduced. After introduction of this receptor, when the cells were exposed to oxidative stress by first depolarizing them with oxotremorine and then incubating them with dopamine, their calcium levels dropped. Recovery from the oxidative stress could easily be measured via an intracellular calcium level assay. When the cells were incubated with blueberry extract before dopamine treatment, the cells were able to return to almost normal calcium levels, indicating a strong protective effect against oxidative stress. Then, a number of different purified stilbenoid compounds were used instead of the blueberry extract (4). Resveratrol was unable to reproduce the blueberry extract effect, but purified pterostilbene worked as well as the blueberry extract in protecting the cells [see figure 1a]. The researchers then went on to feed pterostilbene to aged rats for 8 weeks (4). The brains of the rats were removed and exposed in vitro to oxidative stress (by exposure to hydrogen peroxide). When the striatal cells of the brain are exposed to oxidative stress, it is well-known that they release large amounts of dopamine. Alterations in dopamine release during aging are associated with defects in memory and motor neuron function. The brains of the pterostilbene-fed rats released significantly less dopamine in response to oxidative stress than did control rats [see Figure 1b]. The researchers then went on to feed purified pterostilbene to aged rats and tested their memory (4). A widely-accepted test of the rat’s memory is the Morris Water Maze, where rats have to remember the location of a platform hidden under water. Rats fed high doses of pterostilbene showed significantly improved performance on the Morris Water Maze in comparison to control rats [see Figure 2a and 2b]. After the experiments, the brains of the rats were removed and the amount of pterostilbene located within the hippocampus was measured. There was a strong correlation between the amount of pterostilbene in the brain and the rat’s performance on the Morris Water Maze test [see Figure 3a and 3b]. One mechanism whereby pterostilbene improves cognitive function is through its ability to act directly as an anti-oxidant. In in vitro assays, pterostilbene is a very effective scavenger of free radicals. In these assays, a molecule called Trolox is used as the reference anti-oxidant agent. Trolox can scavenge two free radicals per molecule. Pterostilbene is more effective than Trolox, able to scavenge at least 3 free radicals per molecule (5). Therefore, during oxidative stress in the brain, pterostilbene can directly remove free radicals and reduce damage to neurons. In addition to its direct anti-oxidant activity, pterostilbene protects neurons by altering the expression of more than 1000 genes. Researchers exposed yeast to pterostilbene and then analyzed the changes in their gene expression patterns with a genomic profiling assay. They found that 1007 genes were up-regulated and 182 were down-regulated as a consequence of exposure to pterostilbene (6). Many of the up-regulated genes were found to be involved in natural defenses against oxidative stress, indicating that pterostilbene induces higher levels of natural protection against oxidative stress in addition to acting as a free radical scavenger. In addition, some of the up-regulated genes are involved in the function of mitochondria. Mitochondria are organelles inside cells that are responsible for providing energy to the cell. Malfunction of mitochondria has been shown to be linked to both aging and Alzheimer’s disease. Therefore, part of pterostilbene’s effect on cognitive function may be mediated through stabilization of mitochondrial function. In summary, pterostilbene improves memory and cognitive function through several different mechanisms. It accumulates in the brain and acts as a free radical scavenger to protect the neurons against oxidative damage. It also alters the gene expression patterns of cells, naturally up-regulating their ability to protect against oxidative stress. In addition, it stabilizes and protects mitochondrial function. Intriguingly, in addition to protecting against age-related cognitive decline, it may also be able to improve cognitive function in younger individuals. Studies in both children and young rats report that blueberry extracts are able to improve memory (7, 8). (1) J Neurosci. 1999 Sep 15;19(18):8114-21. (2) Nutr Neurosci. 2003 Jun;6(3):153-62. (3) Nutr Neurosci. 2004 Oct-Dec;7(5-6):309-16. (5) J Agric Food Chem. 2002 Jun 5;50(12):3453-7. (6) BMC Med Genomics. 2008 Mar 20;1:7. doi: 10.1186/1755-8794-1-7. (7) Nutrition. 2015 Mar;31(3):531-4. doi: 10.1016/j.nut.2014.09.013. Epub 2014 Oct 18. (8) Psychopharmacology (Berl). 2012 Oct;223(3):319-30. doi: 10.1007/s00213-012-2719-8. Epub 2012 May 9.
far longer in my bloodstream, (105 minute half life) I added this at once. down in the 90s, 80s, and even middle seventies with no sign of symptoms of hypoglycemia! I have at the same time put myself on a 1300 to 1500 cal. to do 3 times as many reps.in simple exercises. I have had diabetes for 16 years. And I’m noting all the promising trials with cancer, in lab-rats! & now can almost move like some kind of an NINJA… with 7 more lbs. to go! Average estimated glucose down to just 131, whre it had been 180 in April. appears that the fat with the abdomen was the first to go…amazingly! probably raise the intake to about 1800 for a month, and then take stock of the wight stability. By all means…get a good accurate digital scale, if you ant to try this plan on your own. It is now Sunday,December 13 of 2015. I have now lost 30 lbs, down from 215 87 days ago. My diabetes numbers have come down from a1C of 7.9% on December 23, 2014 to a1C of 5.8%. I have also started 200 mg. of Niagen for NAD+, along with 1500 mg of slow release metformin, and the U.S.D.A. 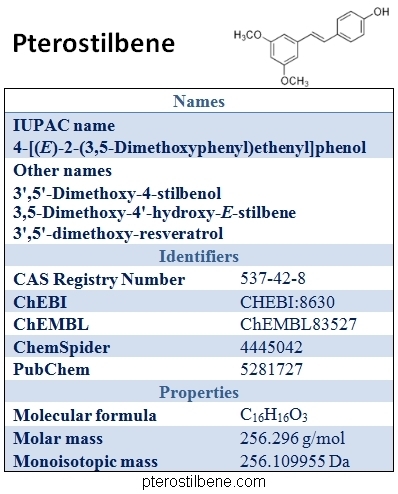 patented version of pterostilbene, which was developed in Oxford, MS at the State University, School of Pharmacy. It is 99+% pure stuff. It is chemically identical to the stuff in blueberries. To hopefully, trick my digestive tract, I am eating a combination of 1 Oz. of tasty live blueberries, a finely ground powder from blue-berries (small pinch), mixed in with 2 Oz. of low fat cottage cheese, eaten along with taking my pills. This is my breakfast starter, & again taken with the pre-dinner meds. I cannot state all of the beneficial changes that have taken place. Some of the highlights: Bladder irritation gone! 55 minute interval has morphed into 4 hours plus interval. PK on my face is 90% better. I can do 300 reps of leg and upper body work. I can walk extremely fast, like a college kid! eating about 1500 cals. I’m talking with Congressional Staffers of the several members of the VA medical oversight sub-committee, and getting positive feedback. I hope and pray that my brother Vets can get some of this stuff to ward off diabetes , cardio-vascular, dementia, and cancers that are being seen in tests at a raft of university labs. Please, Vets out there, talk to the doctors about this stuff. The whole world will be helped. Impressive results ! Thanks for sharing ! It is now Dec 27, 2015. I presently weigh 183 lbs. That represents a 31 lb. even pre-diabetes should take at least 500 mg, if your doctor approves the idea. 2: Pterostilbene (the USDA patented version) which is a very pure synthetic compound. The word “pure” is in the name of the better version. Natural pterostilbene, contains a lot of other filler material, I’ve read. scores of university labs…go for it! of vitality now…Please consider what I’m suggesting for you & yours! So, basically, the perfect mix is 100mg of pterostilbene, together with some blueberry powder all mixed with low fat dairy? Once or twice a day? This is amazing! this stuff seems to work, because my regular medical records reflect the improvement. I’m hoping to be given a hugely important “cleanout” of my left side carotid arterial branch point which is badly occluded. The VA docs were unwilling to do this proceedure until I was able to pass a nuclear imaging stress test with treadmill. Losing 47 lbs. has made this possible….wish me well, I might happen before Christmas! I’m going to be 76 in April…Hope to be alive and kicking well past 90 if this procedure goes well, and will have far less risk of stroke or even Alzheimer’s! It sure feels great to lose the diabetes symptoms, and look maybe 10 or 12 years younger, at least from a short distance…really a fact…love it! natural process of apoptosis to remove moribund (senescent)arterial endothelial cells, to make room for health cells that can take their place.